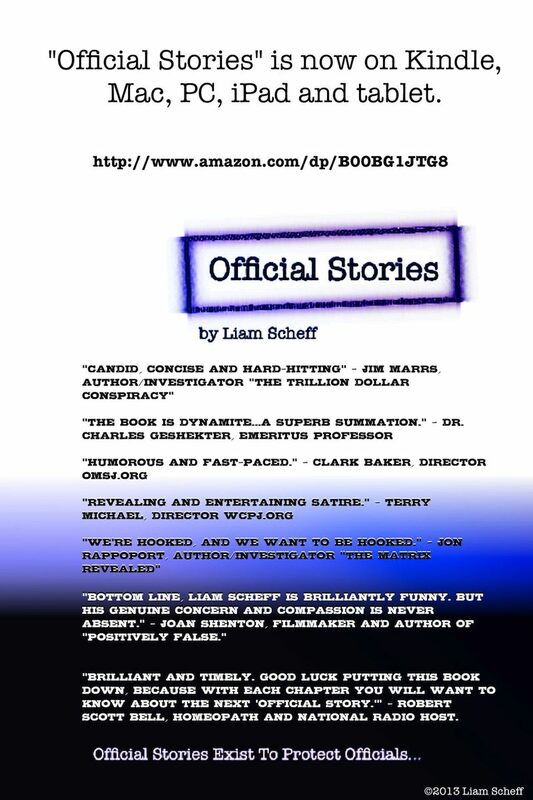 “Official Stories,” the ground-breaking book by ‘investigative comedian’ Liam Scheff, is now available on Amazon’s worldwide Kindle platform for $9.99 US. Please share this brain-stretching, mind-popping book which gracefully and wittily dismantles the great lies of our time – from U.S. history and Smedley Butler, to CIA, JFK and 9/11, to Vaccination and HIV, to Shakespeare, Darwin and the Big Bang – “Official Stories” leaves no stone unturned and no side un-pinched. The book is optimized for Kindle and your computer with a hyper-lined Table of Contents and Chapter Notes section, and a revised copy-edit to make reading on the go a pleasure. Thank you for your kind support and fantastic reviews over the last 10 months since publication. I’m happy to be making this excellent and unique book available to more people, more easily, and I hope you’ll spread the word. 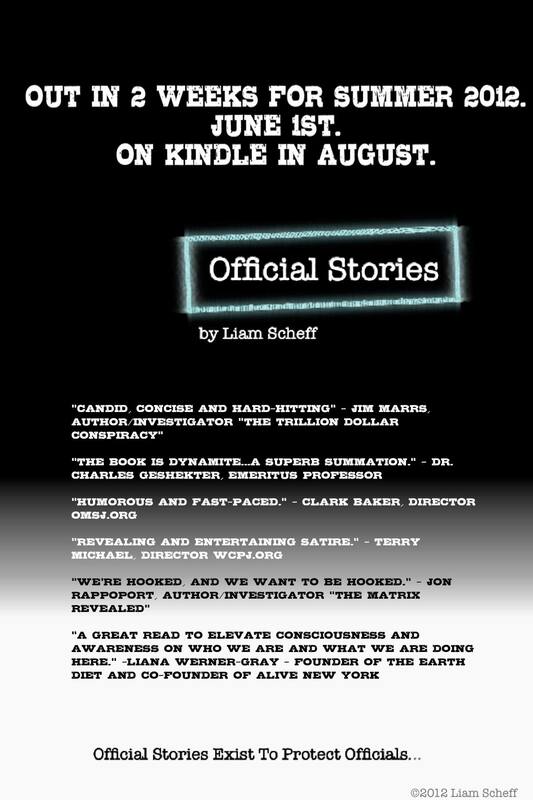 RTB: A review of Liam’s new book “Official Stories” by one of the best in the business. Joan Shenton’s Immunity Resources Foundation, film and books. Official Stories – Buy The Book! “Official stories exist to protect officials.” With the opening line as our guide, we pry open the vault of “official-dom” and see what lies beneath. Drawing information from 10 years of investigative journalism, Liam invites you to join the hunt for the details that lie just beneath the surface. In this heavily-researched but irreverent book, we’ll look under the rocks and stones of our culture: From CIA and JFK, to 9/11 and Shakespeare; from Vaccination to HIV to Big Bang theory, and more. Did a lone gunman kill JFK? Is America fighting for democracy around the world? Was 9/11 an intelligence failure – or a success? Does the polio virus cause polio? Do HPV shots protect girls from cancer? Did Darwin get evolution right? What is in outer space? 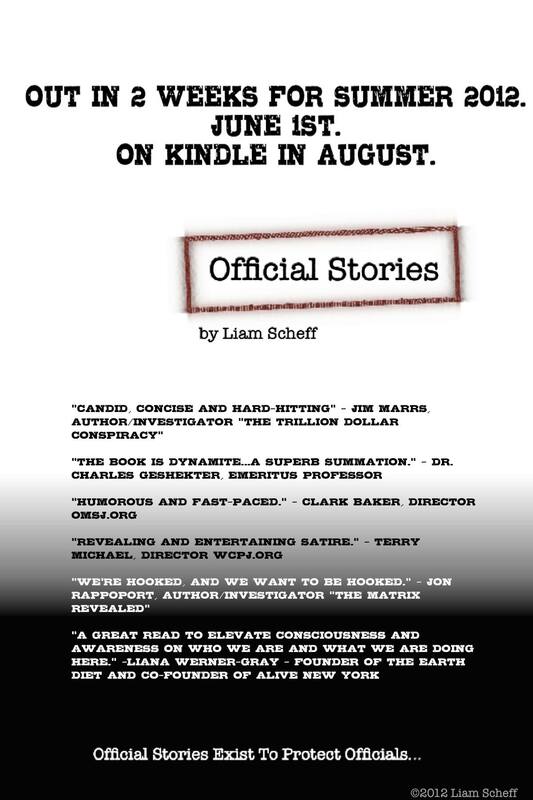 Contact LiamScheff.com with orders of 10 books or more. Enter “Book Order” at top of contact request. You will be emailed in response. Orders of 10 or more are eligible for additional 10 to 30 percent discounts. All discounts applied to book cost (shipping and handling costs not included). “Official stories exist to protect officials.” With the opening line as our guide, we’re going to pry open the vault of “official-dom” and see what lies beneath. Drawing information from 10 years of investigative journalism, Liam invites you to join the hunt for the details that lie just beneath the surface. Liam Scheff is an investigative journalist, radio host and stand-up lecturer on the contemporary myths of science, politics and culture. Find him on the web in print, on radio and in performance at liamscheff.com, reducetheburden.org, the FBI social network (facebook), and on the Robert Scott Bell show. RTB: A letter from the legendary Cal Crilly, turned into an article; quoting heavily from sources, including Mike Baillie, author of “New Light on the Black Death,” Cal weaves together an argument that should attract the interest of those working to eradicate the war against biology, currently being waged by the pharmaceutical juggernaut. Take it as a counter-argument to the fictions we receive in school, and on PBS. Did Arsenic or other poisonous gases cause the Plague? Did arsenic cause the plague,was it rats at all, when comets and meteors hit they leave earthquakes and severe earthquakes will release gases and poisons like arsenic. If there were meteors in the sky they could have hit an area like Kamchatka in Russia so eyewitnesses were few or even volcanoes like Katla exploded in Jan 1311, what else exploded? Eruption of the large Icelandic volcano happened and there were natural world events of unimaginable destruction. I love that bananas in 1633 came to the UK, it was the first happy thing in 400 years. Arsenic causes all the symptoms of Bubonic plaque, add things like possibly Uranium and Lead from the sky at the most pessimistic and we get exposed to these chemicals via breathing and ultimately end up drinking it and eating animals dying from Arsenic too. At Amazon, and Google books. Starred Review. 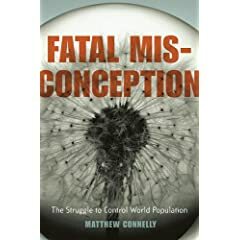 Passionate and troubling, this study by Columbia University historian Connelly (A Diplomatic Revolution) tells the story of the 20th-century international movement to control population, which he sees as an oppressive movement that failed to deliver the promised economic and environmental results. According to Connelly, some proponents of the movement thought it was the key to women’s health and well-being; others saw it as a way to eliminate the poor population; still others believed it would protect the environment. But Connelly also shows how larger economic and social contexts shaped the movement. For example, during the 1930s international Depression, ordinary people increasingly felt that couples planning families should focus on financial considerations; at the same time, as the state offered increased economic aid, it became acceptable to believe the state should also have a role in regulating reproduction. In the year following South Africa’s first democratic elections, the Truth and Reconciliation Commission was established to investigate human rights abuses committed under the apartheid regime. Presided over by God’s own diplomat, Archbishop Desmond Tutu, the first hearings of the commission were held in April 1996. 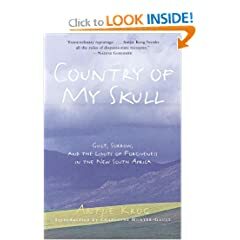 During the following two years of hearings, South Africans were daily exposed to revelations and public testimony about their traumatic past, and–like the world that looked on–continued to discover that the relationship between truth and reconciliation is far more complex than they had ever imagined.